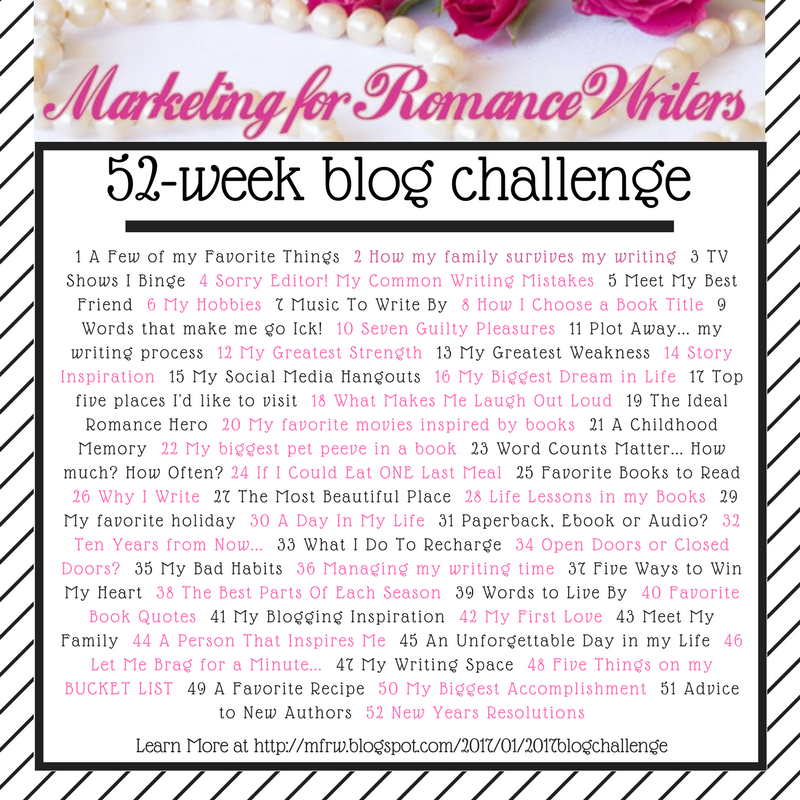 Welcome to week 9 of the MFRW Blog hop. IT’s ironic that this is the topic for the week. I have a lot of opinions about this. You might want to buckle up! I have had a lifetime of bad eating habits, stress eating, overeating, junk food – you name it. I hate to keep throwing the big C card out there, but, here I go again. Before cancer, I never took care of myself. Who cared if I ate wrong? Who cared if I self-medicated with food? Seriously, I knew I ate poorly. I knew I ate too much and too much of the wrong foods. I was stuck in the cycle: emotional eating/ fasting/ scarfing down whatever/ fasting/ binging/ emotional eating. Everything in life was handled with food from as early as I can remember. Oh you had a bad day? I’ll make you a cake. You got all A’s? I’ll make a cake, we should celebrate. It’s your birthday? Let’s have cake. You lied to me? NO cake for you. That’s a bit simplified, but essentially that’s how it was. My mother was an excellent baker. Breads, pies, cakes – Mom’s tasted better than any bakery near us. However, I was not a fan of her regular cooking. In a way, that helped me later on, because I learned to cook for myself and my family. I developed a sweet tooth early on. In the past, my stress eating was sweets. I have eaten a whole pan of brownies before. Not proud of it, but there it is. However, since I can no longer have sugar, and my cravings for sugar have subsided quite a while ago, . . . my stress eating is more along the snack crackers and chips variety. Keep in mind, I can’t eat many processed foods so most chips are off the menu. I have found a few that I can have. Sun Chips, Veggie Chips, Sweet potato chips. wheat thins and triscuits. At the end of January and part way through February I was waiting to hear the results of a biopsy as to whether or not I had a recurrence of cancer. It came back benign by the way thank God! For two weeks I stress ate oranges like they were going out of style. I consumed 3 bags of oyster crackers alone. I ate an entire bag of sun chips in 2 days. OH, I disguised the need for so many crackers with creamy soups but I ate the rest like they were chips. I felt miserable. I was stuffed. I gained back 6 pounds in a matter of weeks. I knew I had to stop, but the stress and fear had a firm grip on me at the time. The day I got the results, I can not even begin to tell you the relief that flooded over me. I threw out the partial boxes of crackers, the remaining dregs of chips and vowed to get back on my healthy eating plan. I had to face my dietician with these facts as well. She was like, What happened? She got the entire detailed story. It just so happened that the next day, I saw a challenge in a Facebook group and figured – why not! It was a challenge to drink a green smoothie every day. I have read about and heard a lot of talk about green smoothies but they are rather off-putting. You want me to drink spinach? You’ve got to be kidding me. I was bloated, frustrated with myself and at rock bottom. Fine – I’ll do it. Thinking as I am going into this, I deserved to be punished. ingredients of the mango banana smoothie. Day 1 – I was not enthused to do this. My favorite with the half of a lemon. Wow! Let me tell you how wrong I was! I tried a couple different variations of the green smoothie, some I liked a couple not so much. Kale is of the devil! I lost six pounds and I feel more energy. Even better, I haven’t been sick for two weeks. That is a record since I began taking cancer meds. So, even though I was able to put a halt to the stress eating, I reverted right back to those nasty old habits, proving that old habits are hard to kill and when they are replaced, they still die a slow painful death. What do you stress eat? Do you stress eat? What do you do to NOT stress eat? I know it’s been a while since I made my “cancer” posts. It occurred to me last week that I hadn’t finished my series that I started. I really hate it when I do that! You have my sincere apologies. On August 28th, I posted No Cancer formed against me. In this post, I kicked off my series about the four areas that you can protect yourself from getting cancer, or have a recurrence of cancer. that much like diabetes, cancer can be self-inflicted. The next post covers Nutrition. You can find that one here: Proper Nutrition for Preventing Cancer Recurrence. The diet plan outlined by my doctor and nutritionist closely resembles the Mediterranean diet, based on the MyPlate system. Mostly vegetables, lean protein, some fruit, and dairy. It is a carb restrictive diet, but not carb free. It seems to be working, I’ve lost nearly 40 pounds. WOOHOO! Now I just need to keep it up. I will say this, the longer I go, the easier it gets. I had to go back to checking my portions last week. I’ve been stressed with physical issues from lymphedema, and the long drive to and from the appointments stuck in traffic, and had gravitated towards larger portions and heavy carb comfort foods. I know, these things shouldn’t really cause stress, but they do. It seems to me that little things get to me more than they used to, which is yet another reason to learn to deal with stress. I’ve discovered that chicken and dumplings are off my menu, spaghetti is off limits, white potatoes in just about any variety is a no-no, and I have to limit my fruit to very small portions. I’ve gone back to measuring my portions, and making sure to check the labels for whole grains. I’m thankful for the cooler weather because I can make soup. Soup is very satisfying to me. I know it’s a comfort food, remembering when my mother would make a huge pot of her vegetable soup on cold winter days. A bonus with having soup, the broth helps to keep you hydrated. The next post covers exercise: You’ve Got To Move It! In this post, I shared the pitiful state of where I was after coming off of radiation. It was sad! I could barely do ten minutes on the treadmill. Now I regularly participate in an aquacise class at the Y, Monday through Friday. I take two classes back to back actually, one is in the shallow end, the other is deep water. I love the deep water one, I can really feel my heart rate go up in that one. This is what my doctor recommended for me with the lymphedema, and with the joint pain caused by the medications I have to take. Good thing I enjoy it! On weekends, we go for walks at the park, do housework, yard work, and usually end up doing far more than the recommended 30 minutes. Next, I shared about stress management: Chill Out! I covered some of the stress management things that were suggested to me, and the things that I actually do. I would still like to try Tai Chi but haven’t found a class. The adult coloring books are therapeutic! I have procured rocks and have painted them. I promise pictures to follow. ladybug, dragonfly on leaf, ocean Son of a Beach, and a fairy house. The other three belong to my daughter. Which leads us to the fourth area that you can control, or at least practice some control over – toxins. The easiest place to eliminate toxins in our food. If the ingredients on the labels include some preservatives and chemicals that you can’t pronounce, then don’t eat it! We no longer eat anything that is processed. No more Doritos! No boxed dinners. No frozen prepackaged foods. I buy chicken, turkey, fish, and seafood frozen. The only preservatives on them may be a saline solution. Salt has long been used as a preservative and I thankfully don’t have a problem with sodium. Our fruit and vegetables are bought fresh which means I have to take the time to clean them, chop and cook them. We rarely use the microwave – it damages the phytonutrients in your vegetables. The second place to eliminate toxins is in our home. Be careful of the cleaning products that you use. My immune system is still very weak. I rented a Rug Doctor because the carpet was a disaster. I have never had such a terrible reaction to anything in my life! I had red blotches all over me, I couldn’t seem to catch my breath, had that tickle at the back of my throat that I couldn’t get rid of. This was the last time I will ever buy those chemically laden rug shampoo detergent. Very soon we will have hardwood flooring. We’ve known carpet was bad for allergens anyway, but now I have an even better reason to get those hardwood floors I’ve been wanting! Laundry soap – look at the harsh chemicals in your detergent. This affects the clothes that you put on your body every day, some in more intimate areas than others, as well as your bedding. You spend 6 to 8 hours every day between the sheets, and if you have one of those harsh chemical detergents, is it any wonder that I was having a rash over my legs? Shampoo and conditioner – do you really know what you are putting on your head? Burning candles can produce toxins especially if you are using cheap discount store candles. Certain construction materials can emit chemicals into your home. If your home is made of those particle board panels which a lot of newer homes are, then your home itself can be emitting formaldehyde into your living space! Crazy right? We can’t really do anything about the pollutants in the air around us other than not contribute to it, but we can be aware of our own space. I’m not trying to be a scaredy cat over every little thing. I’ve become aware of these things because of the effects it is or has had on my weakened immune system. It would be the same for an elderly person, or a small child. We don’t want to expose our kids to poisons! We’ve got to open our eyes to the things that are causing us issues. Quotidiandose does not own the rights to this image, all rights reserved to artist. Here’s an example of a toxin in foods – I used to love Lucky Charms cereal. I loved those little marshmallows in it. Of course, the sugar-laden oaties were good too, but I really loved the marshmallows. Then I read the ingredients after someone burst my bubble. They contained TSP – trisodium phosphate. Do you know what that is????? It’s a product that you use with heavy rubber gloves to clean the grime off of your walls before you paint! If we have to wear rubber gloves to protect our skin, should we really be ingesting it? I haven’t eaten a single bite of Lucky charms or their generic ever since. The kicker is, this is FDA approved, that it has “tolerable” levels that are accepted to be in our food source. Not in my food it isn’t! Be kind to yourself and become aware of what you put into and on your body. Don’t wait until you hear the diagnosis of cancer, be proactive. I am much more aware now, I wish I had been from the start! Sorry, it has taken me so long to wrap this up. It has been weighing on my mind ever since I first started this series back in August. I hope that some of this information is helpful to you.